Mac & iOS Users: Why Aren't You Using Safari Yet? Mac & iOS Users: Why Aren’t You Using Safari Yet? Did you know that before the days Safari, Apple’s computers came with a licensed version of Internet Explorer? We’ve long past that point, and Apple’s browser is now a polished first-party product that’s exclusive to Mac and iOS devices. Safari is an accomplished desktop browser that can now hold its own, but if you use an iPhone or an iPad there are even more reasons you might want to make the switch full-time. A few years ago you could have been forgiven for writing Apple’s browser off compared to the rest of the pack — but you’d be wise not to in 2016. At the end of 2015 I was still using Chrome on my mid-2012 Retina MacBook Pro, a laptop which is starting to show its age. Despite being fully aware that Chrome is resource hog and battery drain on Apple’s computers Safari vs. Chrome for Mac: 10 Reasons You Shouldn’t Use Chrome Safari vs. Chrome for Mac: 10 Reasons You Shouldn’t Use Chrome Chrome is, for many people, the first thing installed on a new Macbook. It makes sense: in its early days Chrome gained a reputation for being lightweight and fast. Read More , I still thought I needed to be sipping from Google’s cup. Until one day I had enough, dramatically discarded all my tabs, rage quit Chrome and launched Safari. But they do illustrate the fact that Safari is now a browser that can stand with the best of them, and in many cases feel faster than a resource hog like Chrome. Anecdotally, when I switched from Chrome to Safari I noticed a small bump in performance, but I noticed a marked improvement in power efficiency in terms of battery life. As a staff member at MakeUseOf I use a web browser all day long for editing, reading, researching, and even writing articles using WordPress. My battery life soared when I ditched Chrome, partly because Apple has been busy tailoring its browser to their own hardware (especially in El Capitan), and partly because when I switched I shed a load of extensions I hadn’t realized I didn’t need any more. I am completely converted back to Safari after giving it a spin the last 24hrs. It’s saving so much battery when mobile. ? Benchmarks also seem to reveal a noticeable difference in power consumption and battery life, which suggests that if you ditch Chrome or Firefox for Safari while working on battery power, you’ll get more life out of your MacBook. Speed and power efficiency are very much tailored to your Mac’s hardware by Apple themselves, and control of the entire hardware and software ecosystem is the biggest advantage the company has over third-parties. If you use an iOS device like an iPhone or iPad while using a Mac as your desktop platform of choice, switching to Safari across the board makes a lot of sense. iCloud is the glue that holds your mobile and desktop surfing experience together, so you can do things like access your bookmarks and browsing history on other devices. But there’s a lot more to it than that. Apple’s Continuity feature allows you to quickly fetch a webpage you have open on another device — just look for the icon in the Mac dock or on the iOS multi-tasking screen (double-tap the home button). iCloud Tabs lets you recall or remotely close any tab on any device, just head to the Show All Tabs screen (the icon that looks like one square on top of the other). iCloud Keychain is a full-featured secure password manager thats only available to those with Apple devices. It offers similar functionality to paid third-party solutions like LastPass LastPass Is Now Free on Phones, But There's a Catch LastPass Is Now Free on Phones, But There's a Catch Password management app LastPass has some carefully worded good news: "Now you can get started on your phone, free!" Read More , but it’s deeply integrated into both operating systems. Safari makes transparent use of the feature, and allows you to recall login credentials and even store sensitive payment details in a few clicks or taps. 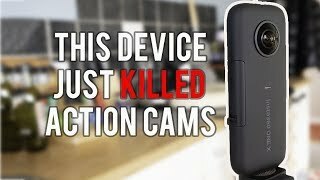 Of course, the feature is limited to just Apple devices (the major drawback), but if you find yourself only using Apple devices then this won’t be a problem for you. Safari’s Reading List allows you to save web pages offline Use Safari’s Reading List for Offline Reading on Your Mac & iPhone Use Safari’s Reading List for Offline Reading on Your Mac & iPhone Want to share articles between your iPhone and Mac? Use Safari's Reading List. Read More for browsing at a later date, and it syncs between devices in the background. It won’t format things quite as nice as Instapaper or Pocket will, but it’s completely free and integrated right there in your browser. Finally, Apple Pay is coming to desktop Safari when iOS 10 and macOS Sierra drops in late 2016. The feature will allow you to pay for items using your iPhone without entering any payment information, on compatible websites in regions where Apple Pay is currently in use. Apple hasn’t just put serious work in under the hood over the past few years. In the past few revisions of OS X (soon to be macOS) Safari has seen some much-needed improvements that have brought it up to scratch with the competition. This includes the basics, like the user interface which has become smaller and less intrusive particularly since Apple fell in line with other major browsers and combined the URL and search bars into one. Safari lets you pin tabs, just like you can in Chrome. These remain neatly stacked to the left of your tab bar, and can’t be accidentally closed using the command+w keyboard shortcut you’re used to reaching for. Just like Chrome, you can hit tab to search individual sites now without having to type its full URL first. If you’re a developer, learning to code, or simply like to extract background images from a website’s source code (that’s me) then you can right-click on any webpage and choose Inspect Element to see what’s going on. And both the iOS and Mac versions make use of Reader mode, which strips webpages of distracting elements so you can focus on the text or apply themes like dark mode, simply by hitting the “4 lines” icon in your device’s URL bar. While Apple forces iOS apps to use its native share menu on iOS, that’s not necessarily the case on the Mac. Desktop Safari uses this menu for nearly all external operations, like sending a page to your Reading List, posting to social media, sending to a friend via email, and even clipping whole webpages to Evernote. Safari uses extensions, just like Firefox and other browsers do, but they’re far fewer in number due to a smaller installed userbase. While most major services have a Safari extension, there are some pretty big gaps that might trip you up if you rely on a lot of extensions. When I switched from Chrome to Safari, I decided to drop as many extensions as I could with the aim of speeding up my browsing experience and reducing memory and power consumption. Fortunately I’m in a position where the only extensions I use are for Evernote and preventing Flash and other plugins launching automatically. Safari’s Extension database contains all sorts of plugins for a range of uses, including read-it-later services like Pocket 9 Tools to Save What You Read on the Web for Later 9 Tools to Save What You Read on the Web for Later Have you ever gone back searching the Internet for something you read and just couldn’t find it? I think we all have – it’s quite frustrating. The problem comes when we don’t take the time... Read More , safe browsing indicators like Web of Trust, third-party password managers, productivity tools, translation services, and many more. 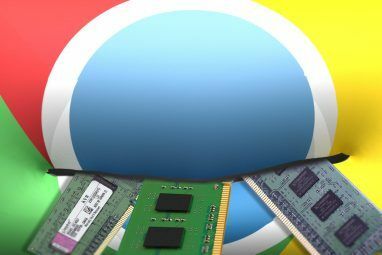 The ecosystem can’t compare with Chrome, for which web apps have sprung up for use on any platform including ChromeOS, but native apps often offer benefits over web-based equivalents. You may even be able to replace missing functionality using a few Mac menu bar apps The Ultimate List of Mac Menu Bar Apps The Ultimate List of Mac Menu Bar Apps These tiny smart utilities don't get in our way like the dock apps do -- Mac menu bar apps sit in a corner and swing into action only when you need them! Read More . Even though I moved away from Chrome in favor of Safari, I still have Chrome installed. I don’t use it very often, but it’s a lot more useful when paired with apps that facilitate the use of multiple-browsers Better Manage Multiple Browsers on Mac OS X With These Apps Better Manage Multiple Browsers on Mac OS X With These Apps You can have multiple browsers and set up rules that always open links in the right one — all you need are some smart apps. Read More . I use Browser Fairy myself, which is currently set as my default browser. By command+clicking any link in an app like Evernote or Slack, I can choose to open it in Safari, Chrome, or any other browser I want to install. This allows me to use Safari most of the time, which provides a fast and responsive browsing experience that isn’t a battery drain, while giving me the option to use Chrome for any web apps that demand it; and try out less popular browsers from time to time for work or curiosity’s sake. It’s also possible to use these tools to set up rules based on individual apps, like opening all links from within Slack in Chrome, while everything else opens in Safari. 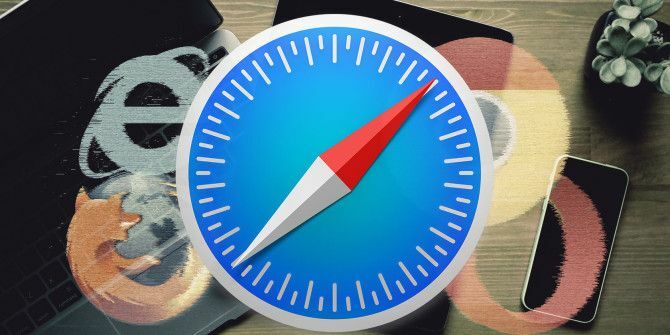 Despite being arguably the fastest and most power-efficient way to browse the web on your Mac, Safari isn’t perfect and is still missing a few features that you might be used to from other browsers. 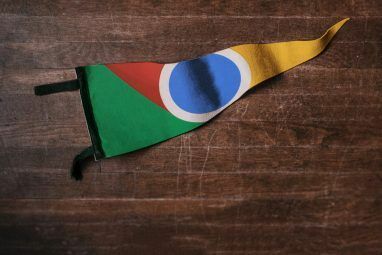 The biggest one is arguably multiple-profiles, something many are used to in Chrome. The feature effectively allows you to run multiple instances of Chrome, so you can login to multiple accounts for services like Google and Twitter without switching accounts all of the time. The main functionality I used this for was Google, so I could use both work and personal accounts at the same time. As I was only using my work for email, I simply downloaded third-party Apple Mail app alternative 5 Apple Mail Alternatives for Mac OS X 5 Apple Mail Alternatives for Mac OS X Every Mac comes with a free email application, but it's not the be-all and end-all of OS X email solutions. Here's five of the best alternatives. Read More and now remain logged into my personal Google account at all times. If I suddenly need to access a service using it, I’ll launch Chrome and quickly do what I need. Yes, Google provides some multiple-account management tools, but I’ve long grown tired of Google’s multiple account management and want nothing more to do with it. Safari also lacks Flash sandboxing, which means rather than running a “secure” version of Flash within the browser like Chrome does, you’ll have to download and maintain a separate Flash install. Apple is known for turning its back on Adobe’s rich web plugin, and Safari now even disables Flash when it’s detected as being out of date. But you can probably do without Flash these days (and if not now, then soon). While it’s much less of an issue these days, some websites may refuse to work in Safari (like those specifically designed for Chrome). Oh yeah, and since switching to Safari I’ve noticed Google tends to ask me to “try Chrome” on a regular basis. Oh Google. In very rare cases, you may actually need to run Internet Explorer on Mac. But outside of those needs, Safari is one of the best web browsers for Mac devices. If you really don’t want to use it though, see our list of alternative web browsers for Mac users 9 Great Safari Browser Alternatives for Mac Users 9 Great Safari Browser Alternatives for Mac Users It is not that Safari is a bad browser or that it has a limited feature set -- you may just want a different focus, or major updates more than once a year. Read More . Explore more about: Google Chrome, Safari Browser. The only tedious thing about Safari is managing Bookmarks. I have to open that panel on the left to show the bookmarks to edit them (e.g. change order, rename, delete). With Chrome, I could simply drag bookmarks to arrange the order right in the Bookmark title bar and just right click to edit. I'm fairly certain that Opera's Battery Saver mode would outlast Safari on a Macbook. 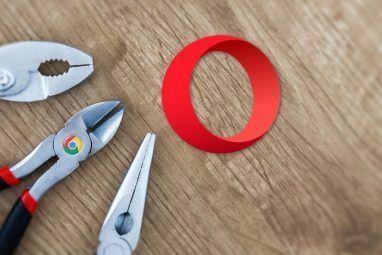 Sounds like we'd need some solid testing to be sure, but how likely is it that Opera is as finely tuned to Apple's hardware as their own browser? I will have to check it out at some point. Safari doesn't allow title-less favicons. It sounds trivial but It is so much easier to visually look for the familiar favicon for my favorite sites. The choice of extensions for safari is more limited but not necessarily a deal breaker. I've actually been using the developer branch of Opera which seems to handle battery life better than chrome (but less well than Safari). Maybe I'll give Safari another chance. I used to rely on title-less favicons for every single website in my bookmarks bar way back when. I cut down on the practice when I got the job here at MakeUseOf, as I have a lot of specific shortcuts for WordPress stuff that all used the same icon. I definitely get where you're coming from though, it's a good point. These days I try to keep the bookmarks bar as clean as possible, use a few folders to organise the rarely used stuff, and use very short acronyms or abbreviations for anything I need to keep handy. Same here. It's one simple addition, but it's what keeps me using chrome over Safari. The second they adopt it i'll make the jump. Okay, I poked around and found an extension called Favicon Bar [Broken Link Removed] . This will give you an extra toolbar that allows titleless favicons but it isn't as simple as drag/drop into the bar as there is a file that has to hand edited. It isn't perfect but not too bad. I've been honestly forcing myself to use Safari over the weekend and mostly like it. However, I still get videos that won't play occasionally. This was a well written article that has convinced me to try safari again. It's refreshing to read an opinion with facts without heated emotions. I'm so very tired of emotional bloggers. You provided information for both sides of the argument without being a raging fanboy. Thank you. Glad we could help you out Brian. I must say I'm not used to such a nice comment on an Apple-focused article! Hopefully you can get along with Safari and enjoy some of those battery benefits. I'm sure the next version in Sierra will be even better.